We're Mark. And I'm Anna. Some years ago - never mind how long precisely - having little to no money and many, many conflicting wonderful ideas for creative projects, we thought it would be fun to run a production company. We make cool, weird stuff. Almost on purpose. A unique storytelling tool forged at the heart of Oz, Wisdom, and Comics. A series of illustrated playing card decks celebrating books and authors we love. The Story of a Girl. 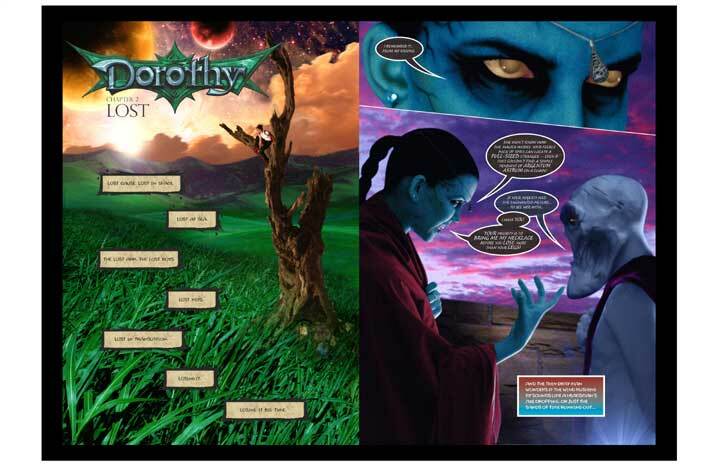 Dorothy is our modern retelling of The Wizard of Oz. It's a graphic novel! It's a comic! It's a graphic novel and a comic!